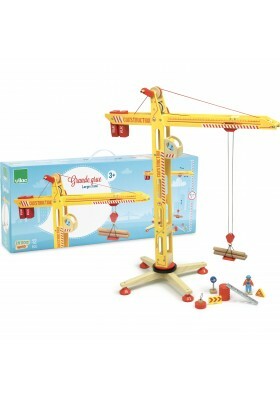 Giant Wooden Crane with cranks to move the trolley on the boom and raise or lower the hoist winch. 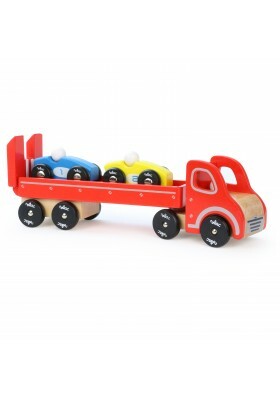 Wooden accessories included. 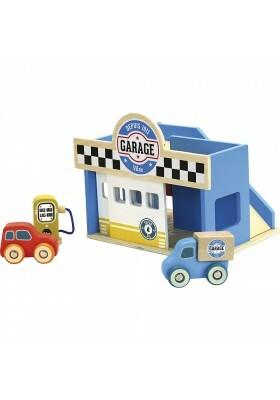 Compatible with the Pick-up Truck and its building accessories. 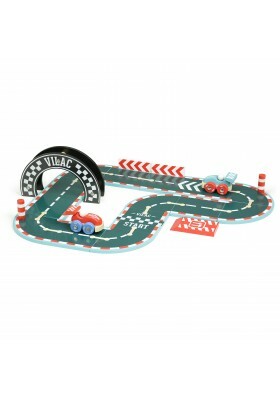 Vilacity Large Wooden Race Track (36 pieces) consisting of circuit rails, 3 racing cars, 1 bridge, 1 tunnel and signage. 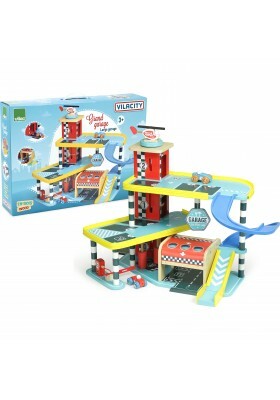 Compatible with all Vilacity toys. 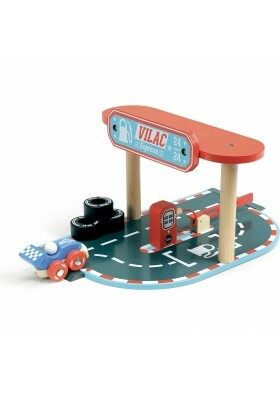 Vilacity Wooden Petrol Station (7 pieces). 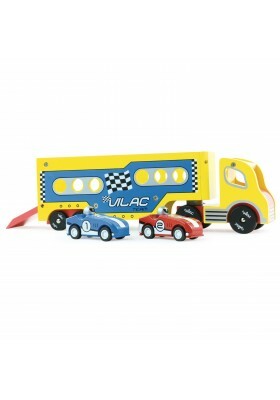 Compatible with all Vilacity toys. 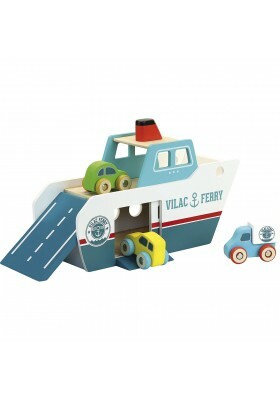 A beautiful eighteen-piece Magnetic Container Ship to complete the Vilacity range. 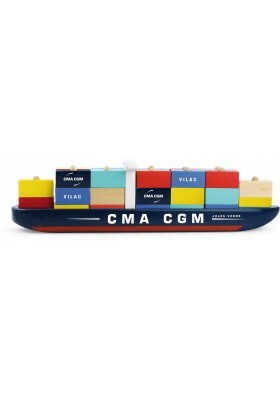 In collaboration with CMA CGM. 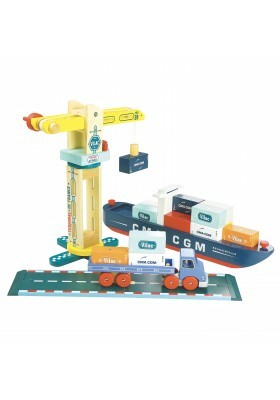 Rotary Docker Crane equipped with a crank and a magnetic tip to move containers easily. 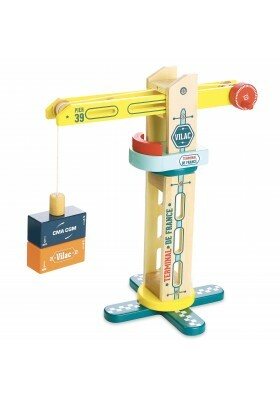 This Wooden Docker Crane is part of the Vilacity range. 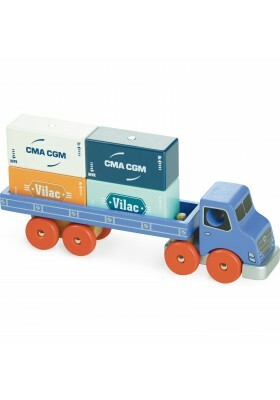 This truck carrying 4 magnetic containers is compatible with the Vilacity range of docker cranes. London's burning! Fetch the engine, fire, fire!!! Jump off the elevator, open the sliding door and the mobile barrier! 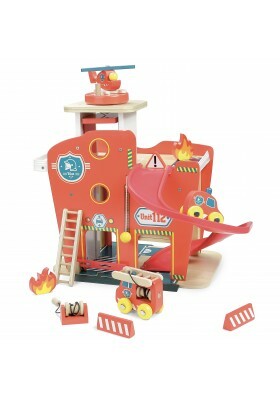 This fire station has many functions and ten accessories for imaginative play and hours of pleasure. 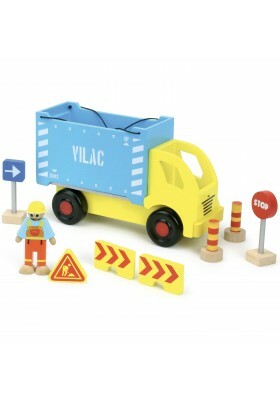 Compatible with all Vilacity toys.